First off, many thanks to the folks out there who shared support after my last blog post. I appreciated all of the blog comments and e-mails. Saturday's Cheyenne Mountain 50K proved to me that volume-based junk mile training, which I've fallen into this year because I've been lazy and, at times, unmotivated, isn't working. I felt slow and inefficient and my feet were heavy. When you feel that way, it's hard to mentally engage. So Cheyenne was kind of a slog fest for me. With the Bighorn 100 in seven weeks, now is the time to make necessary adjustments. On Sunday, as I ruminated on my race at Cheyenne (and pulled more cactus needles out of my left hip due to a nasty head-first fall down the trail), I read quite a bit about what happens to us runners when we age, especially when we reach our 40s. I read blogs and articles by Joe Friel, Jack Daniels, Tim Noakes and other highly regarded experts. 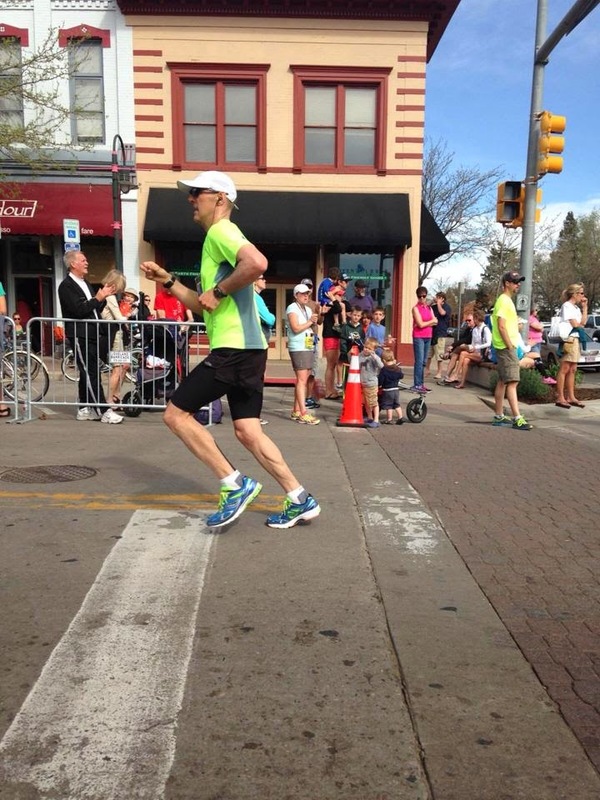 Here's what I learned: I am doing precisely what a masters runner with a huge endurance base built over a dozen years should NOT do: I am running junk miles, stacking up volume, chasing numbers and neglecting anything that builds speed and strength. That is why I am now weak, slow and inefficient. In terms of 2015, I'm staying the course and will line up for Bighorn. I want to finish Bighorn but I won't be too concerned about my time. 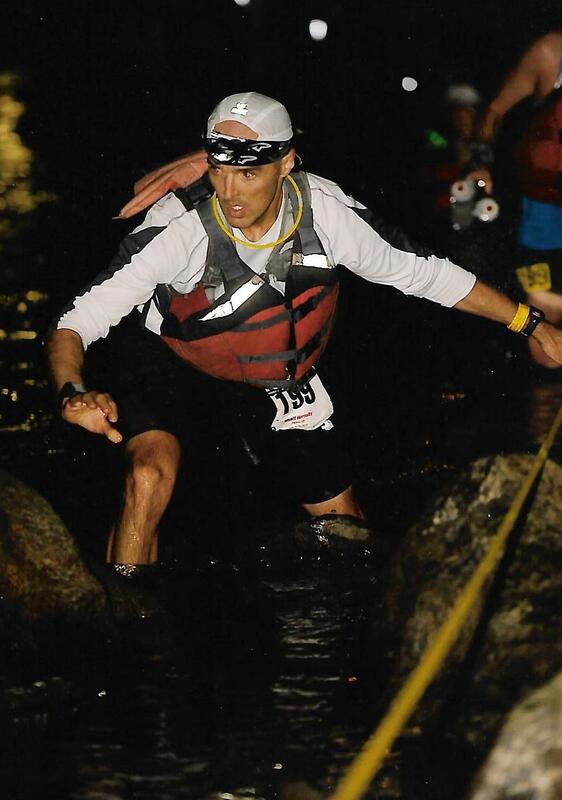 I will be focusing on having fun (and staying qualified for the Western States 100 lottery). After Bighorn, the priority will be to recover, have a great summer with the family (most important of all), enjoy the Pikes Peak Marathon, and hopefully get qualified for the 2016 Boston Marathon at a late summer race like the American Discovery Marathon. For me, these years were from roughly 2006-2009. 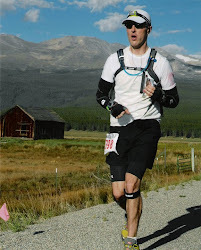 My first ultra, though, was in 2005. Alas, over time, the honeymoon period tapers off. While your loved ones still support you in your hobby (and love you just as much, if not more), the thought of asking those in your life to give up entire weekends to wait for you at aid stations and ensure your bottles are filled with your energy drink of choice starts to make you a bit uncomfortable. While their support seems unending and the love and friendship run deep, you nonetheless come to realize the inherent selfishness of racing ultras and asking others to help you in your quests for whatever it is you seek--glory (yep, been there), self-transcendence (my favorite), competition (been there), fitness, or, for some, recovery. Dare I say running 100 miles starts to seem like a self-absorbed obsession. Praise and amazement from others, once a kind of fuel, start to grate on you. That’s when it all gets really hard. Brett Favre used to say (I’m paraphrasing) that it wasn’t a lack of love for the game of football that made him consider retirement; it was the preparation for the season, the daily grind and the sacrifices that made him decide to finally hang it up. While ultrarunning clearly isn't football, both sports will take a toll on your mind and body. At times, you're going to ask yourself, "Why?" Just to be clear, I have no plans to leave ultras. But I’m at the stage in my running life where I look at myself and those around me and the thought of asking them to help and/or support me in my hobby is starting to feel uncomfortable. Back in 2007-2009, I can honestly say that any help I asked for in a 100-miler was with the goal of assisting me in truly competing in a race. That seemed to work quite well because I had people lining up to gladly help me compete and the results spoke for themselves. But these days, with an aging body and slowing legs (I especially felt old this past Sunday), requests for pacers and crew support seem more and more tenuous and unreasonable to me—since I’m now really just a pure mid-packer unless you put me in a 5K or half-marathon, where I can still move well enough to perhaps beat a few young guys and podium as a masters runner. That’s one reason why at Bighorn I’ll have one pacer (Scott S.) and pretty minimal support along the way—in some part because the race offers very limited crew access but in large part because, after years of being supported like a Tour de France cyclist up in Leadville, the thought of going rather minimal in the mountains in Wyoming is rather refreshing. It might even help restore my passion for ultras. Plus, I’m looking at the time I spend training and starting to question if it’s time well spent. I will always exercise and I believe with 6-7 hours of physical activity every week--running, weights, some yoga, etc.--I could remain in excellent shape. But when I look at my training schedule and I see training weeks of 12-15+ hours (which, in the grand scheme of things, isn’t that much compared to the guys and gals putting in well over 100 miles a week), I start to see the tradeoffs I’ve made and I’m not sure it all sits well. If 6-7 hours a week are reasonable and 12-15 hours aren’t, then that leaves 6-7ish hours I didn’t spend with my family but instead spent running. My family truly supports me in my running, but, when I look in the mirror, I ask myself if 12-15 hours of training a week, in addition to a 40+ hour a week job, leaves enough quality time for my wife and son and other things that matter. Realizing this, a few years ago I decided that I would limit myself to one 100-miler a year and would keep a pretty thin race schedule. That would mean just a few months a year would be spent in the grind--OK, very doable, I thought at the time. Now I'm wondering if I need to make more adjustments. Not to judge anyone else, but I look at some fellow ultrarunning dads who are knocking off a handful or more of 100-milers every year and I don’t understand how (or why) they do it. If someone is paying them, then I totally get it. But my greatest fear is that one day I’ll wake up and ask myself why I spent so much time training for races when I could have used that time to camp with my family, go for a hike, show my son the mountains as he's never seen them, take my kid to a movie, take him to the museum, stay up late watching movies with my wife, etc. I am now, to use a term a friend recently shared with me, a “grizzled ultrarunning veteran who has been there and done that" (though there's still a lot I've yet to do, like Western States). The honeymoon ended long ago, leaving me with the daily grind of training for a demanding mountain race in seven weeks, which I'm doing just fine. I’ve been doing that (running, training and racing post-honeymoon) for about six years now. Those who are still new to this sport may claim to understand the grind themselves, but give it a few years—when the honeymoon has worn off—and most of them will drop out of ultras, because their cheering section will have shrunk just a bit too much for them to endure what is truly a crushingly tough (and yet enlivening) exercise in human determination. Whether or not Bighorn is my last 100—my last ever or my last for a few years—remains uncertain. I am excited about my first race of the year, the Cheyenne Mountain 50K this coming weekend, and I’m quite stoked about getting it on at Bighorn in June. But, in the back of my head and deep in my heart, I’m aware of the fact that this level of training, even as it’s far less than what I used to do, feels unsustainable to me at this point in my life, when the roles of husband, dad and employee are so key to quality daily living. Which begs the question: With these dilemmas tugging at me, have I finally become a true ultrarunner? Is this what it all means?